Checkout the Property Listings, ABC Quiz and Head To Head pages for more details. Or get all 3 of these projects in the React Workshop. Signup for the React Workshop and you will get the popular Animation Combo completely gratis. Don’t miss out! Thanks Hussein, make sure you read what the comment should include. Good luck! Really excited about this. Hope there is a few sessions on themes. I have been having a nightmare ensuring I have a mobile friendly layout complete with sidebar and transitions. I'm really excited about the Property Listings tutorial. The final app created with the tutorial has a fully-fledged look and feel to it that I am very interested in. The last project is really cool. Good luck Jim! Can't wait to try out the property listing map. So many cool features in one app. Haha, you are right it is the most complicated one :) Good luck! The property listing one looks pretty interesting to me, just looks cool to me. The last one looks pretty interesting too. Im excited about the listings app, all of them seem pretty awesome though! Great work as always Petr! Ah, Sorry Petr, I left some comments on the Youtube channel. Basically, What is the recommended practice in configuring an IDE for React development. Are you going to discuss combining GSAP animations with React? Or is that some other topic? Can’t wait to try out the property listing map. Hi, Petr. Nice to see you again with a new course. Can't wait to start! I'm very interested in the real state project it looks cool and there is something I've never learned before (react integration with google maps). Cheers! Been following your tutorials since the the your webpack youtube videos. I did my bachelor's thesis on JS build system, and your course helped a lot. Now hoping to be one of the lucky one to get the giveaways.....!! Whilst I think all of them are great and would love to use features of all of them, the property listing I would probably find use for first. I do custom WordPress themes and I can see that being very useful for a feature in a theme. ABC Quiz looks great --- always trying to find ways of improving UX!! The property listings map because is models something I will probably want to create. This course looks awesome Petr! I'm looking forward to the Real Estate app most because I build apps in that space with Ionic. I would like to be able to do the same with React Native, and this is a good step in that direction. Best! Been interested to learn more about react. Do you find it preferable to Angular? I really am excited about this React workshop! But I want to learn GSAP !! The property listing tutorial looks really interesting. Looking forward to it. Nice one Petr! Thanks for your courses man! The first one is the most interesting for me. Maps + react - it will be very useful! I like the Head to Head project the most because I could use more experience in React Router and Firebase. Looking forward to winning! The first project is the most exciting for me. Google Maps + React I really like the functionality of this project. Nice!!! 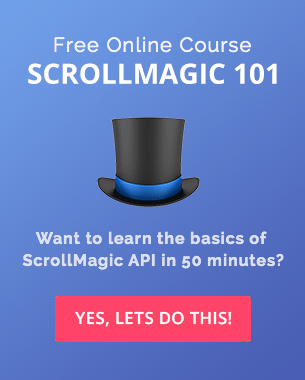 I know React it's very trendy right now, but I love to see many courses out there and yours look pretty cool! Really interested in the "The Property Listing" project. Thanks! That property listing app looks dope! May be the next tutorial could be about how you make things look so cool and beautiful (: Cheers! Looking forward to the ABC quiz. I'm looking forward to learning about the animations! It's great when you release the react course for us. I really love the ABC Quiz because it's really useful for me to create the English lesson quiz in the future. Thanks for your course. 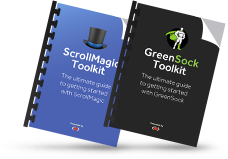 I started following you from the greensock workshop. I hope the react workshop projects are same as that. Keep up the good work Petr Very impressive! Sorry to disappoint, but I would say these projects are even better :) Good luck! I like all React – Property Listings because it's doing something with google map which I'm researching on. 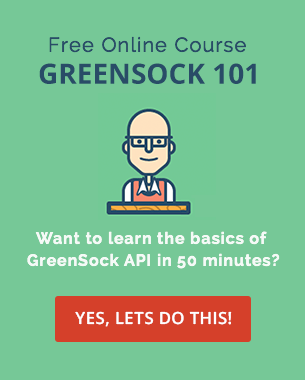 After the React for Beginner, this is an absolute course to take on. Thanks Tony and good luck. Can't wait to hear what you think about the workshop. ABC quiz project looks great, im already thinking of ways i can use it!! Thanks for your course's in general !! I've been trying to get my head around React for ages. Finally I have the chance! Can't wait to try the Head to Head project! I think I would select the ABC Quiz. It looks like it might be the simplest and a good place to start my journey for learning React. They all look great. Looking forward to some React! Head to Head, for React Router and Firebase! hope your new workshop will be supb like previous on. I like property listing app project very much. I like it because I integrate my wordpress development, still only based on jquery based property listing in the worpdresss themes/plugins. The property listings tutorial looks fairly intense, looks like a great project to really get to grips with React so that it can be used for other projects. Winners annoucement - https://youtu.be/eGJ_Wyy2uoc Congratulations to the winners and thanks everyone else for participating! I’m really excited about the Property Listings tutorial. The final app created with the tutorial has a fully-fledged look and feel to it that I am very interested in. Can’t wait to try out the property listing map. So many cool features in one app. Haha, you are right it is the most complicated one 🙂 Good luck! What is the recommended practice in configuring an IDE for React development. Are you going to discuss combining GSAP animations with React? Or is that some other topic? Hi, Petr. Nice to see you again with a new course. Can’t wait to start! I’m very interested in the real state project it looks cool and there is something I’ve never learned before (react integration with google maps). Been following your tutorials since the the your webpack youtube videos. I did my bachelor’s thesis on JS build system, and your course helped a lot. Now hoping to be one of the lucky one to get the giveaways…..!! Part 2 of the comment. ABC Quiz looks great — always trying to find ways of improving UX!! This course looks awesome Petr! I’m looking forward to the Real Estate app most because I build apps in that space with Ionic. I would like to be able to do the same with React Native, and this is a good step in that direction. The third project is the most interesting because it has “advanced” stuff. The first one is the most interesting for me. Maps + react – it will be very useful! Nice!!! I know React it’s very trendy right now, but I love to see many courses out there and yours look pretty cool! Really interested in the “The Property Listing” project. Looking forward to the ABC quiz. I’m looking forward to learning about the animations! It’s great when you release the react course for us. I really love the ABC Quiz because it’s really useful for me to create the English lesson quiz in the future. Sorry to disappoint, but I would say these projects are even better 🙂 Good luck! I like all React – Property Listings because it’s doing something with google map which I’m researching on. 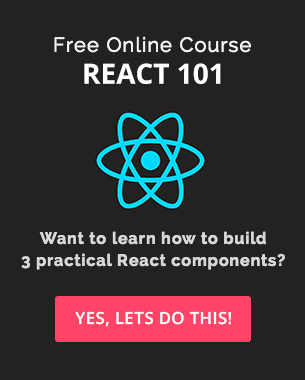 After the React for Beginner, this is an absolute course to take on. Thanks Tony and good luck. Can’t wait to hear what you think about the workshop. ABC quiz project looks great, im already thinking of ways i can use it!! Thanks for your course’s in general !! I’ve been trying to get my head around React for ages. Finally I have the chance! Can’t wait to try the Head to Head project! Congratulations to the winners and thanks everyone else for participating!